Compassion is one of the most important attributes of God’s heart that we can carry. 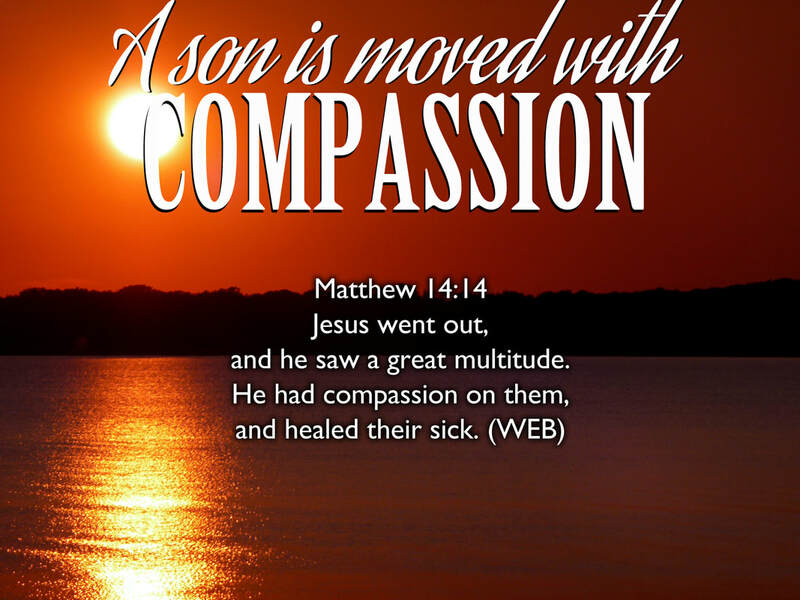 We often see compassion at work throughout the earthly ministry of Jesus. It seems as if compassion was the motivator behind many of the miracles that He performed. My friend Jack Winter used to say… ‘Compassion brings the anointing and the anointing breaks the yoke’. If that is indeed the case, then the Isaiah 61 text that Jesus used to launched His public ministry (Luke 4:16-21) was a proclamation of God’s heart that found its roots in the soil of His compassion. I believe that it is only when we begin to grasp the compassionate heart of the Godhead, that we will begin to understand the real meaning of the gospel. Jesus was called ‘the friend of sinners’ by the religious establishment of the day (who by the way had no interest in stooping down into the broken lives of those they were called to lead). To Jesus, being called ’the friend of sinners’ was a compliment even though the Pharisees intended it as an insult. For He knew that the very reason why He came in the first place was to seek and to save those who were lost and to give His life as a ransom for many (Luke 19:10; Mark 10:45). It was for the ‘harassed and helpless’ that He came. It is for these little ones who needed a Shepherd who would not abuse them, exploit them and judge them... that He laid down His life. Wikipedia’s definition of compassion is… 'The emotion that one feels in response to the suffering of others that motivates a desire to help.' A further unpacking of the Latin meaning of the word (compassio) means ‘to suffer together’. Considering that God is called the Father of Compassion and the God of all comfort in 2 Corinthians 1:3-5, the idea that He suffers alongside of us is quite overwhelming. He is not a father who is removed from the muck and the mire of our lives. He is right there with us in the midst of all our pain and all our brokenness. When we truly discover that He isn’t judging us but loving us, we will finally find good news that is worth dying for! I can remember feeling this fellowship of suffering on a whole other level a few years ago after we first discovered that our youngest daughter was diagnosed with Leukemia. As a dad, I was doing my best to try and be strong for our family and many of those early days, I felt like I was just in coping mode. At one point, I was walking to my car in the dark after a long day at the cancer hospital when I asked God where He was at that very moment. You see, I didn’t feel a strong sense of His presence or a supernatural peace at that time. And I didn’t hear His voice or feel especially comforted by Him so I asked ‘Where are you Papa?’. I was really surprised with the answer I received. All of a sudden, I realized that He was right there beside me all along but He wasn’t saying a thing. He wasn’t trying to get me to change my attitude or scold me for not being more spiritual. He was just there, closer than I could imagine, silently suffering alongside of me. And when I realized He was there all along, His compassionate heart toward me brought comfort beyond what words could express. I believe we all need this kind of comfort. We need someone to understand us and come alongside us in the messiness of our broken lives and love us completely. And that is what our Father did when He sent His Son into the world. Jesus was to be called Emmanuel, which means ‘God with us’ (Matthew 1:23). The champion of the human race came to be a man of sorrows so that He could be acquainted with our grief (Isaiah 53:3). When God became man, He entered into a holy fellowship with us on a level never before possible. The good news is that God understands us and His heart is filled with compassion towards us! He loves us through and through in spite of our frail, broken clay pots. My prayer today is that we would all have a greater awareness of our Father's gentle, compassionate heart for us. May we know beyond a shadow of a doubt that He understands each one of our struggles and His compassion draws us into a holy fellowship with Him in the times of our greatest suffering.